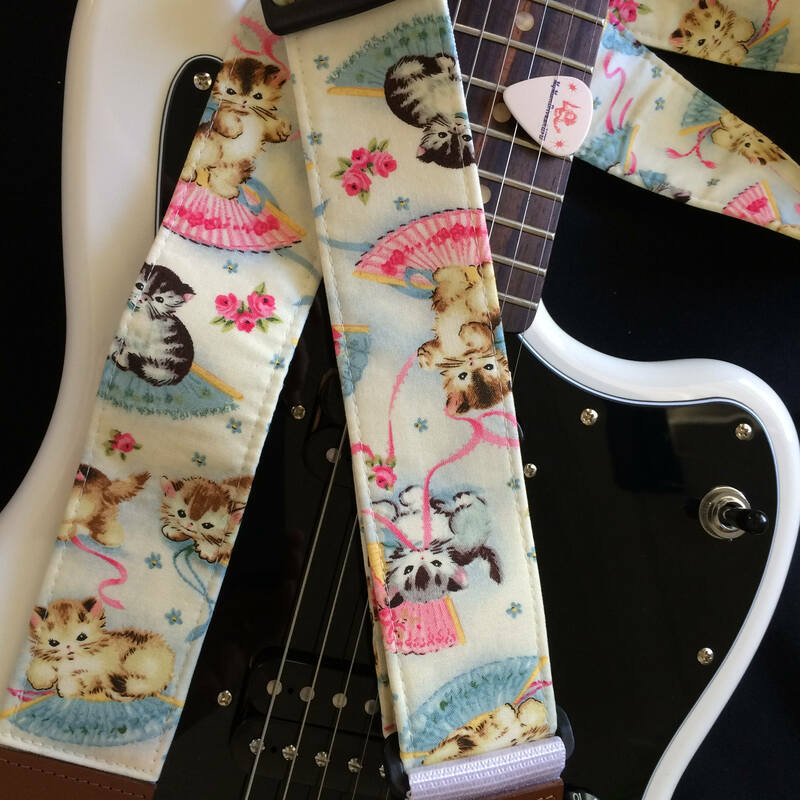 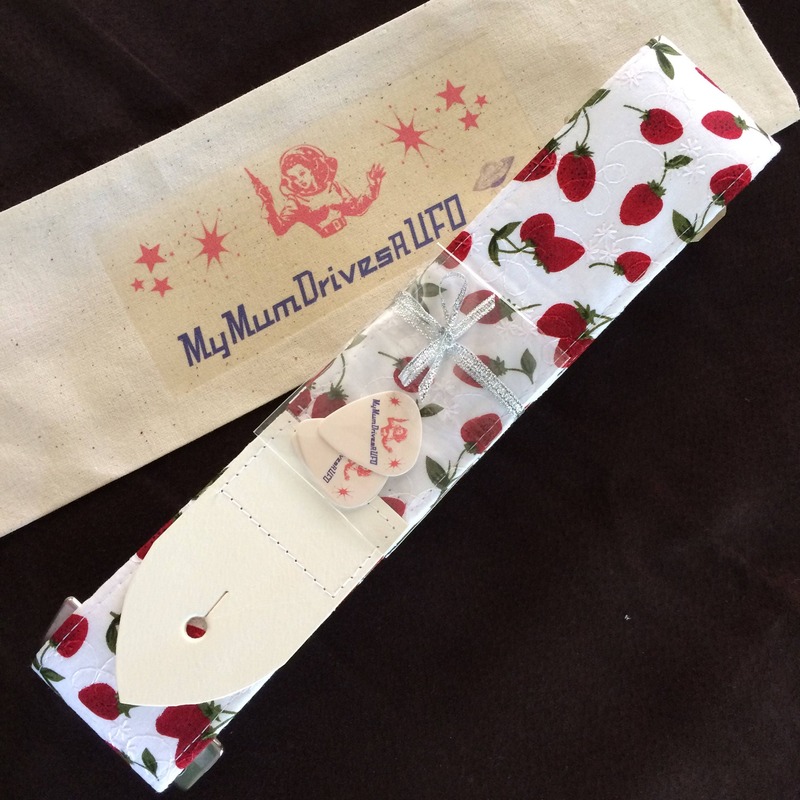 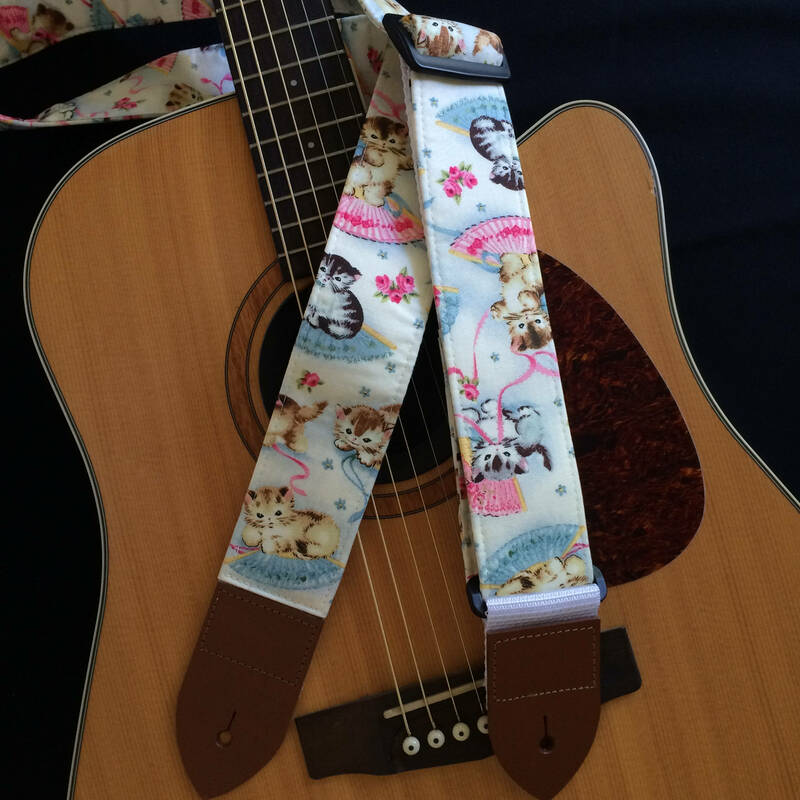 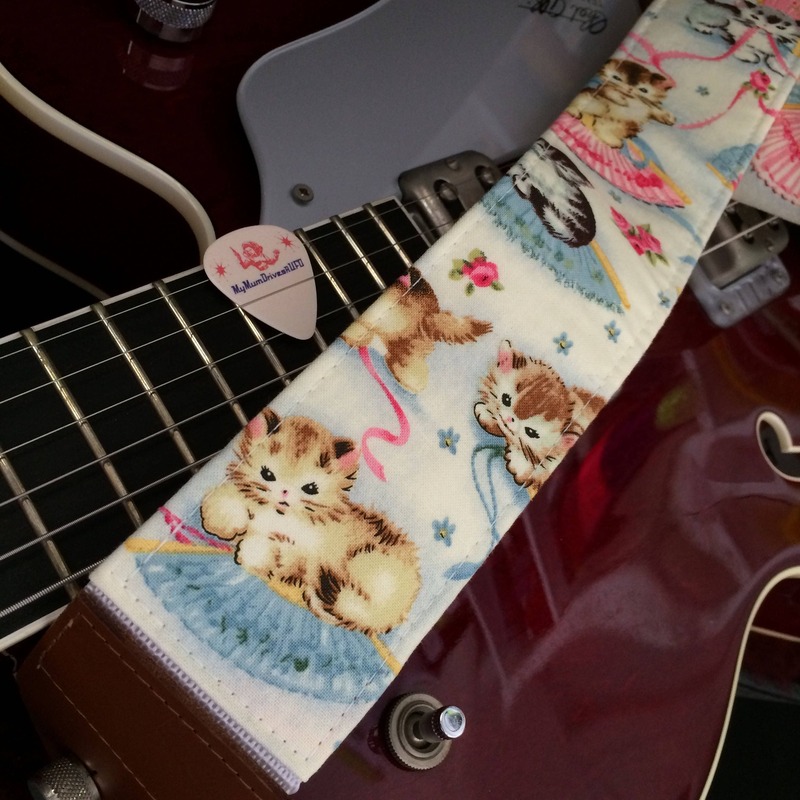 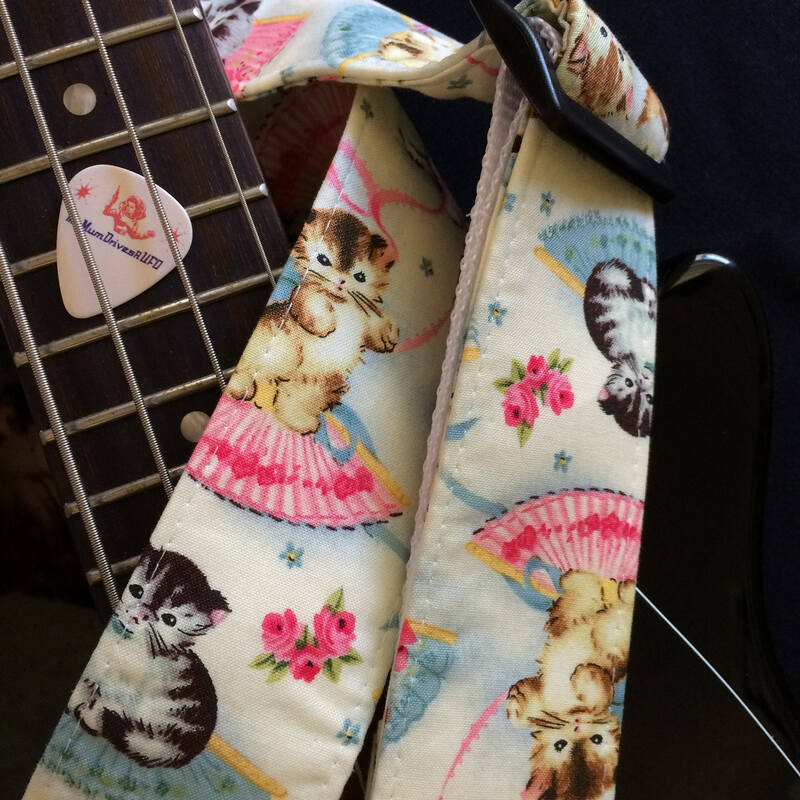 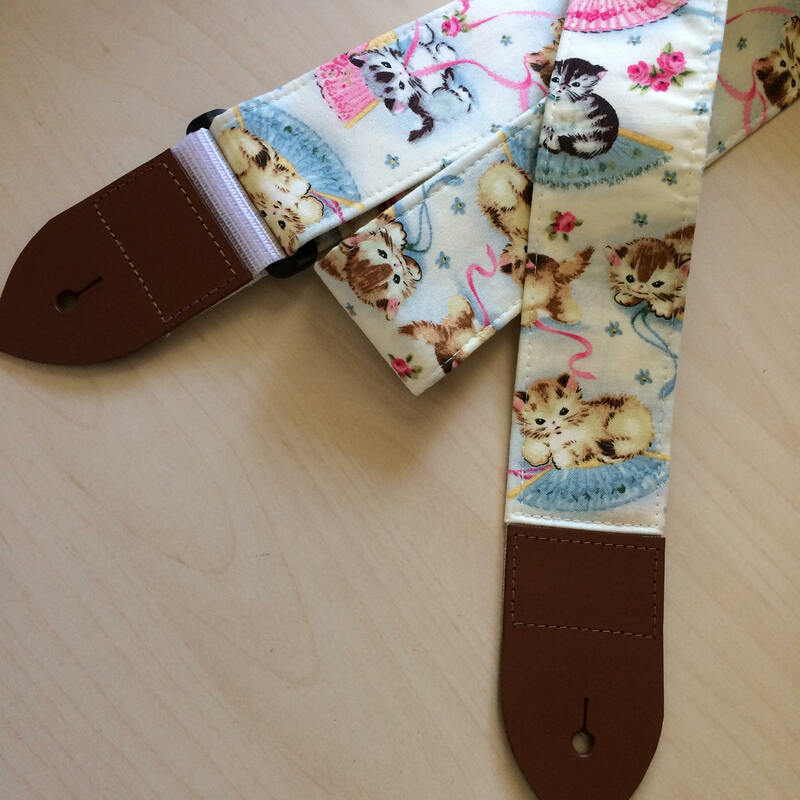 This adorable kitten print guitar strap has a retro 1950s childhood nostalgia vibe. 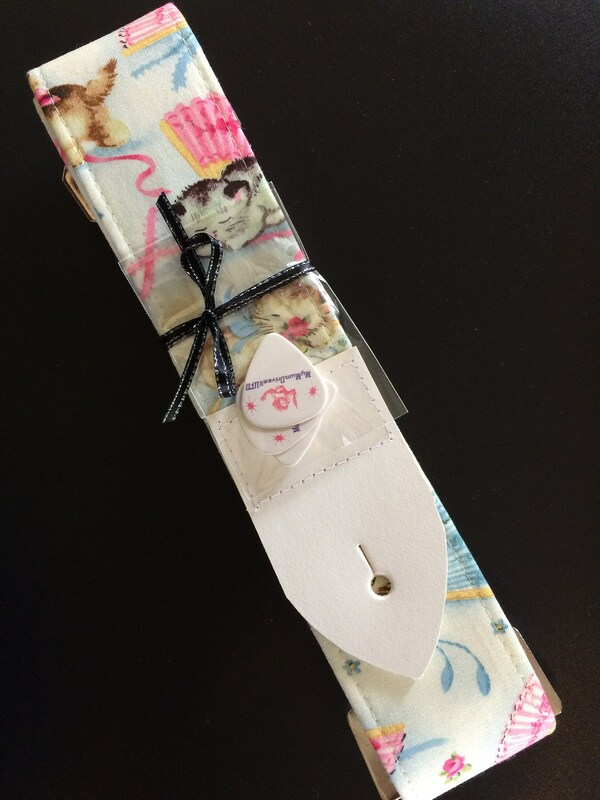 The fabric has cute baby cats on pastel pink and blue fans playing with ribbons. 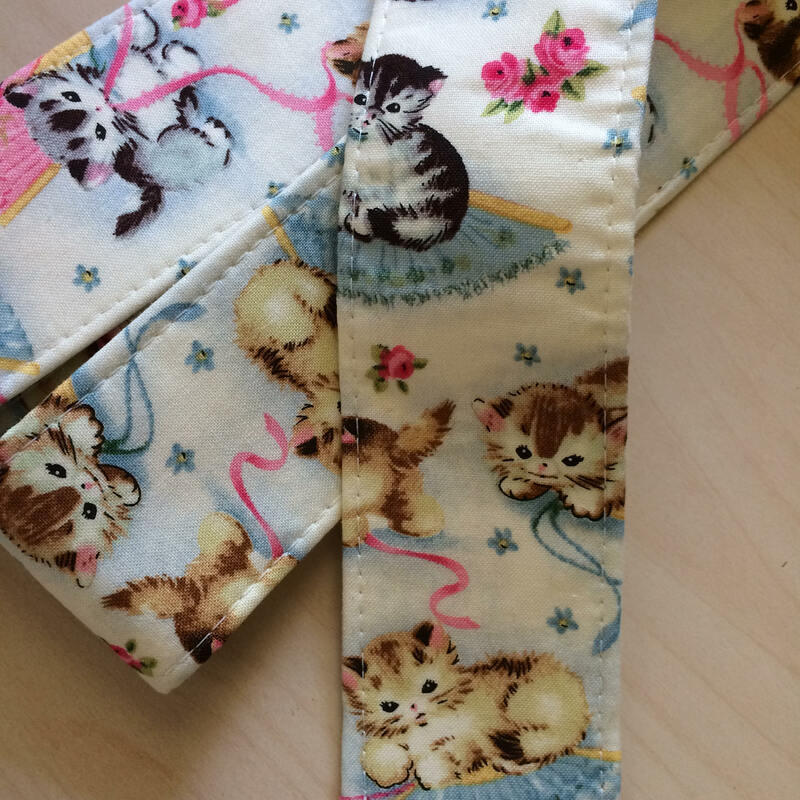 The fabric is medium-weight 100% cotton. 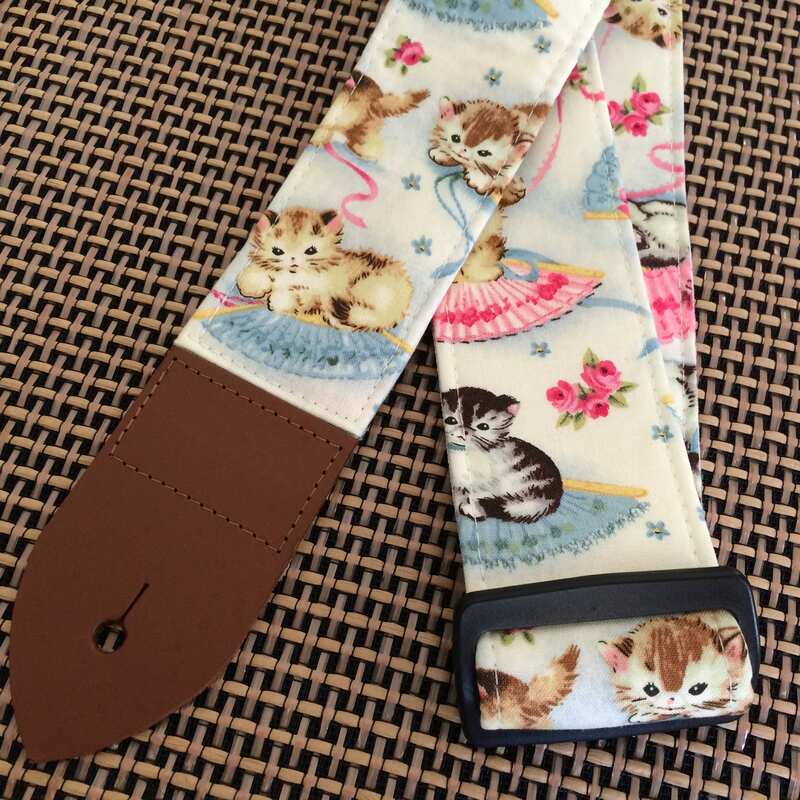 The construction of the strap gives it a lot of stability to hold its shape as well as being comfortable to wear and stunning to look at. 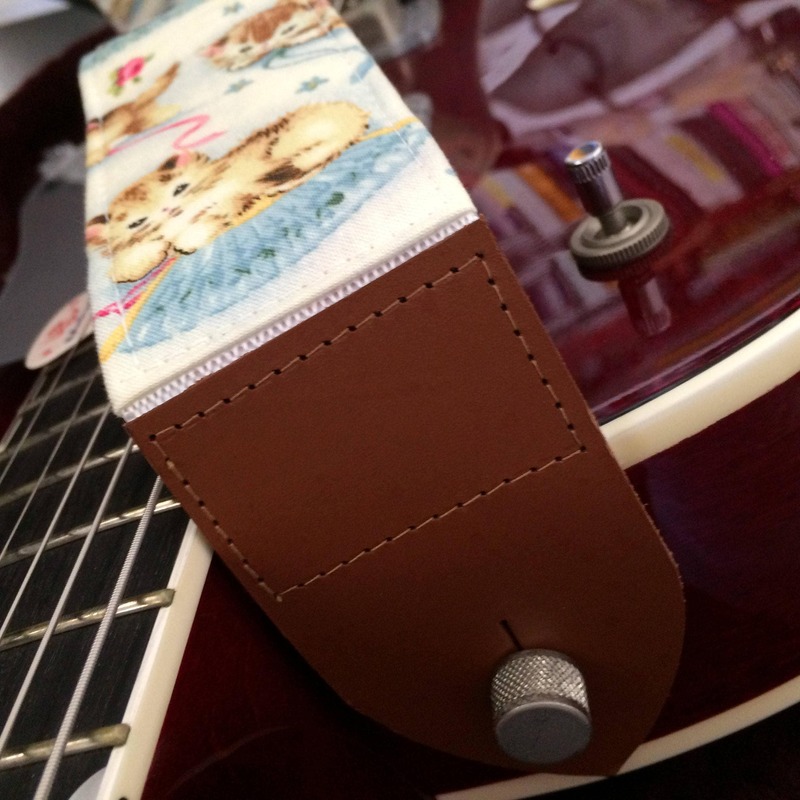 With its tan heavy-duty leather ends, white webbing core and black plastic adjustment fittings, this strap is light-hearted and full of personality.